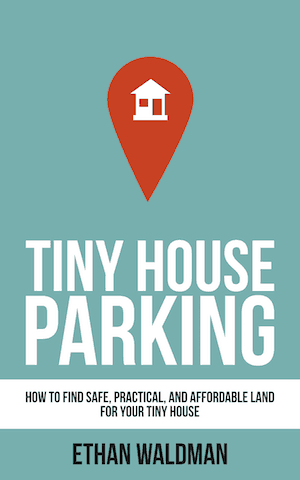 Usually when you picture a tiny house, I imagine you think of one with wheels. 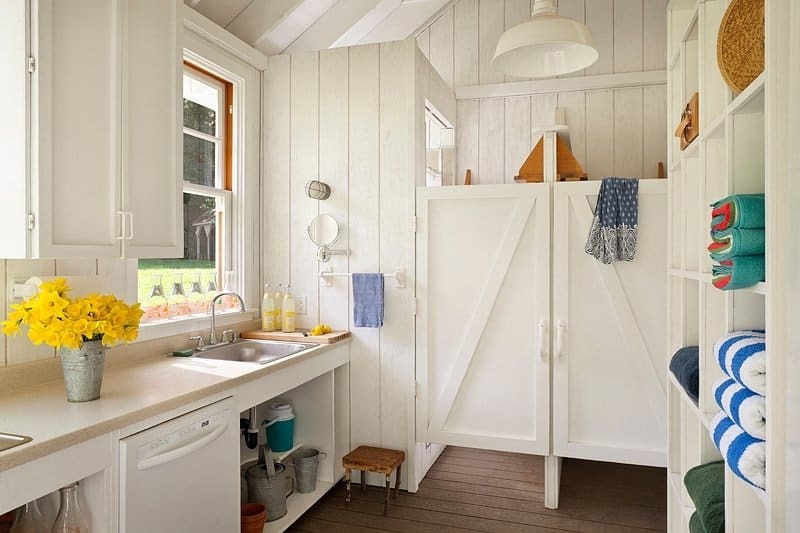 If there is such a thing, the “standard” tiny house is built on a trailer, often to get around pesky codes and zoning rules that require buildings to be a certain size in order to be deemed inhabitable. 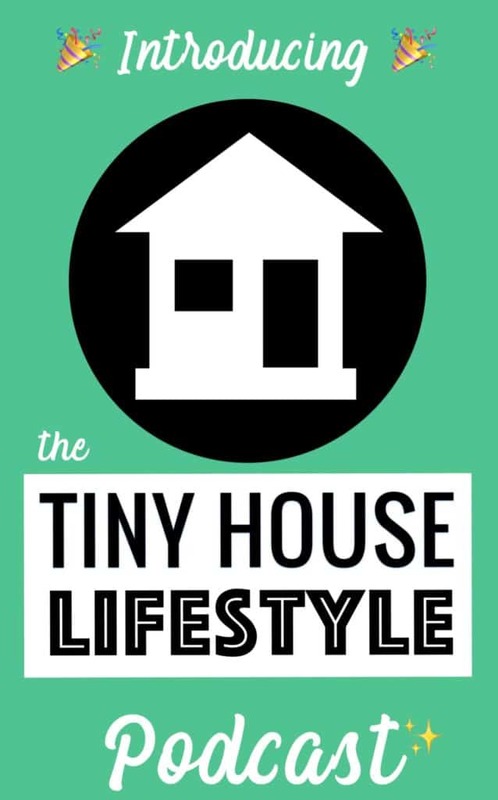 As the tiny house movement grows, more people are interested in building a tiny home on a foundation. Let's take a look at why this has changed. Building on a trailer is somewhat limiting. When you've got a fixed space upon which to build your house, you can't go crazy with the shape of your house. On top of that, trailers are pretty expensive, costing between $3000 and $6000 on average. 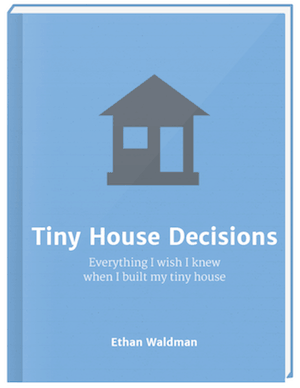 For some people, particularly those with families, the tiny house on wheels might not be the way to go. 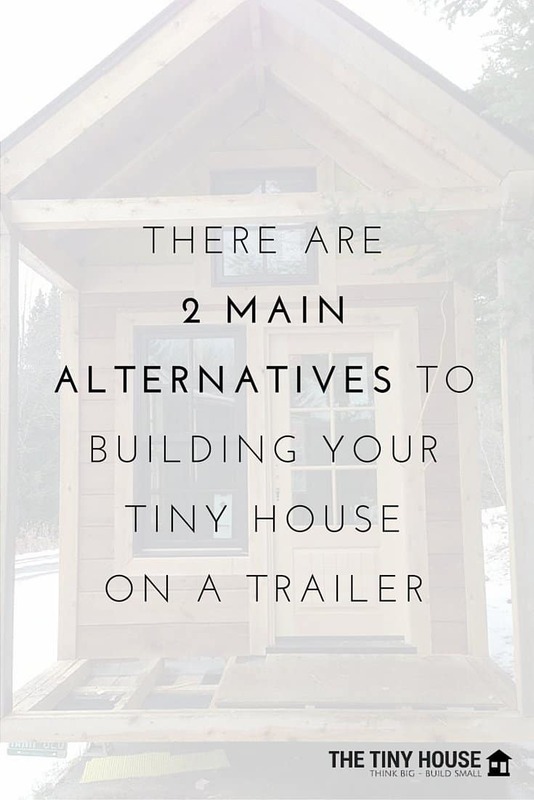 Luckily, there are two main alternatives to building your tiny house on a trailer: The tiny house on a foundation and the tiny house on skids. 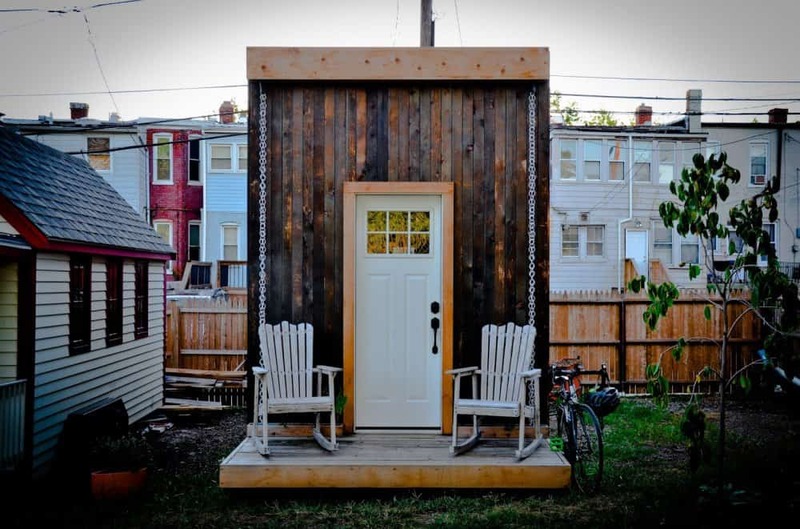 You could build your tiny house on a foundation, for example on a concrete slab. 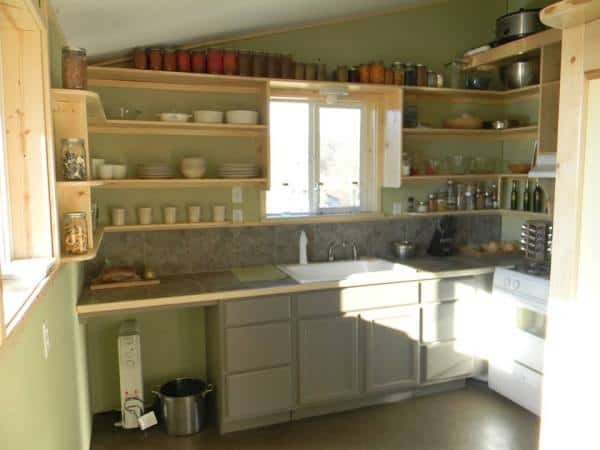 Once you have created the foundation, you will be able to make your permanent tiny house whatever shape and size you want it to be. 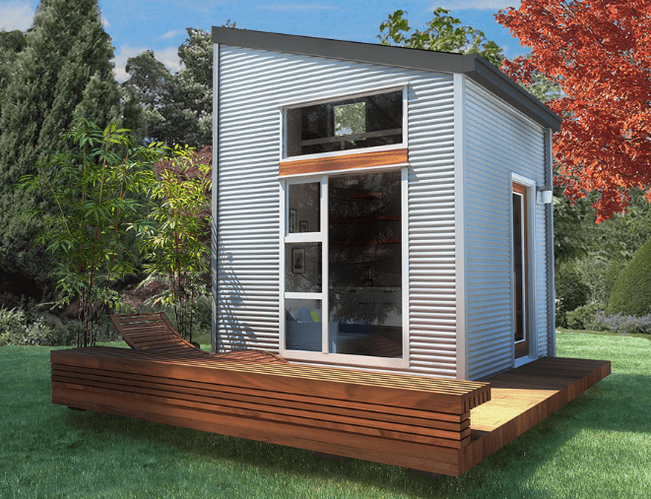 If you don't own any land, you could create a hybrid tiny house, by building it on a semi-permanent foundation. If you go this route, and you want to have the option of moving your house later on, it will need to meet certain specifications, so that it can be transported on a trailer when the time comes. 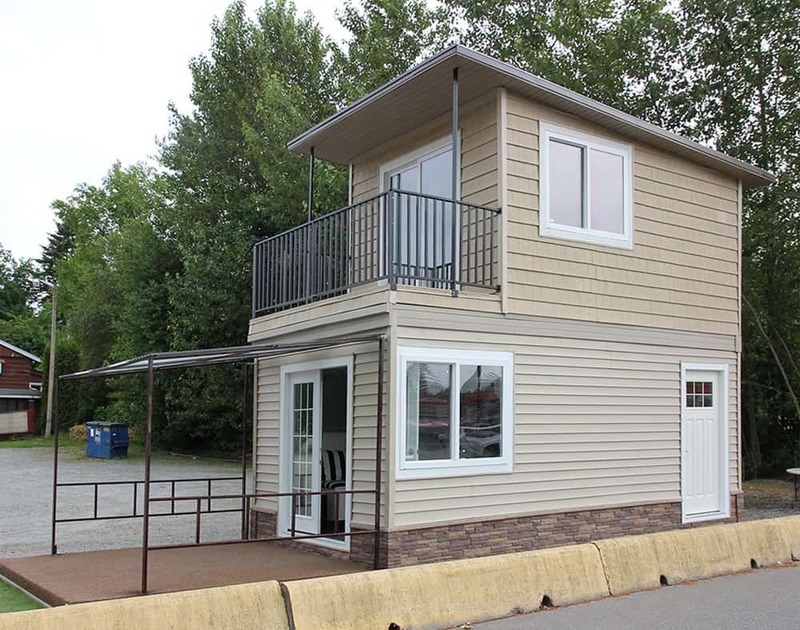 With this type of tiny house on a foundation, you might also find that building inspectors are willing to work with you to ensure that your house is legal. 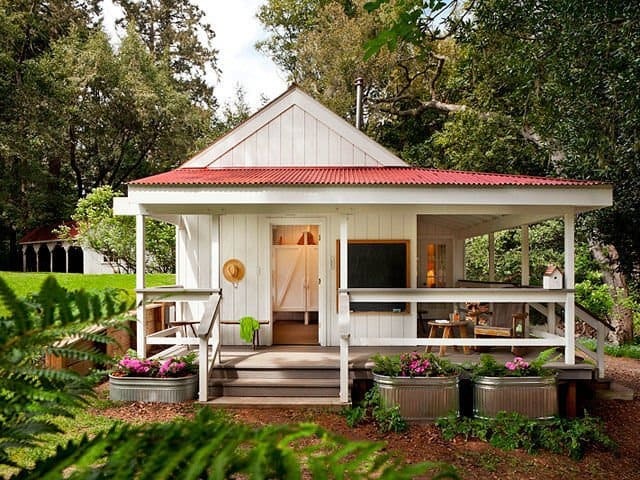 If you're considering building your tiny house on a foundation or on skids, take a look at the thirteen tiny houses below for inspiration. 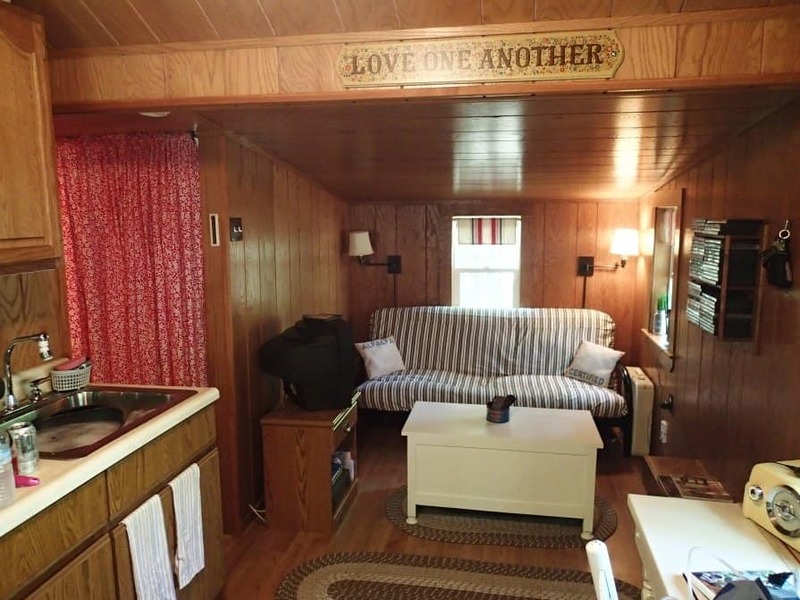 The Tiny Lake House takes up less than 300 square feet and includes a kitchen/dining/living area, a bedroom, and a bathroom. Also by this lake are a bunkhouse and a chalet, which are both less than 200 square feet. 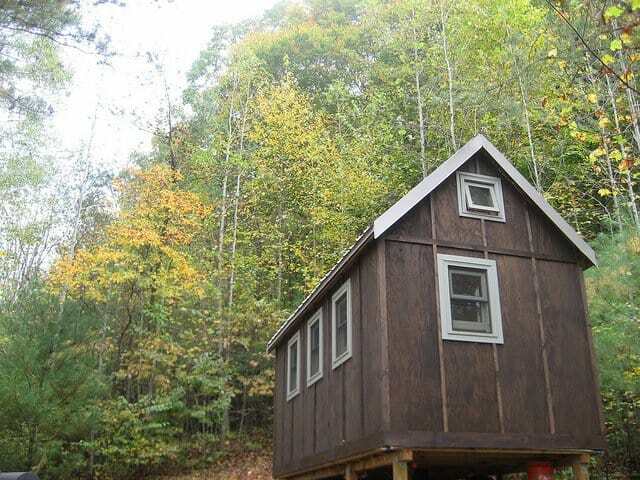 This 120-square-foot cabin is built on a post and beam shed foundation in the mountains of North Carolina. It's positioned halfway up a mountain on a slope, so pouring a slab on which to build it wasn't an option. 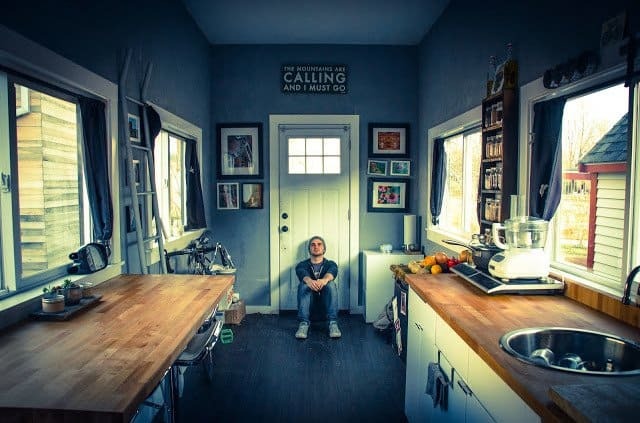 The Eagle Microhome is a 350-square-foot tiny home on a permanent foundation designed by John Murchie. This design uses a patented steel technology that weighs half as much as wood and that's almost half the price of it too. 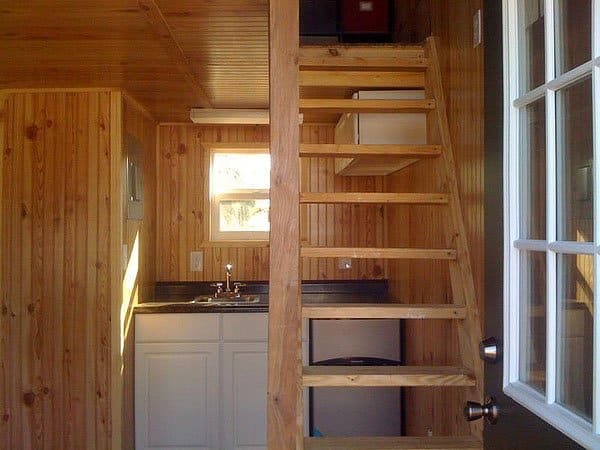 This tiny house is available to buy. Photos courtesy of Much-Tech Consulting Corp. The deck of this 196-square-foot tiny house is very handy for hosting BBQs and chilled out evenings in this Californian forest. 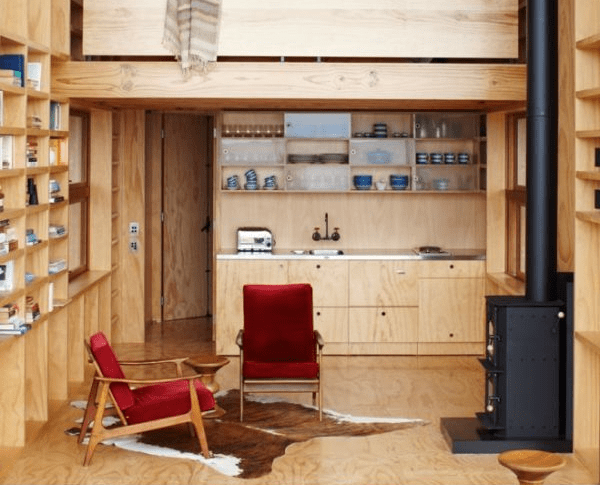 This tiny house is built on a foundation of tree stumps! 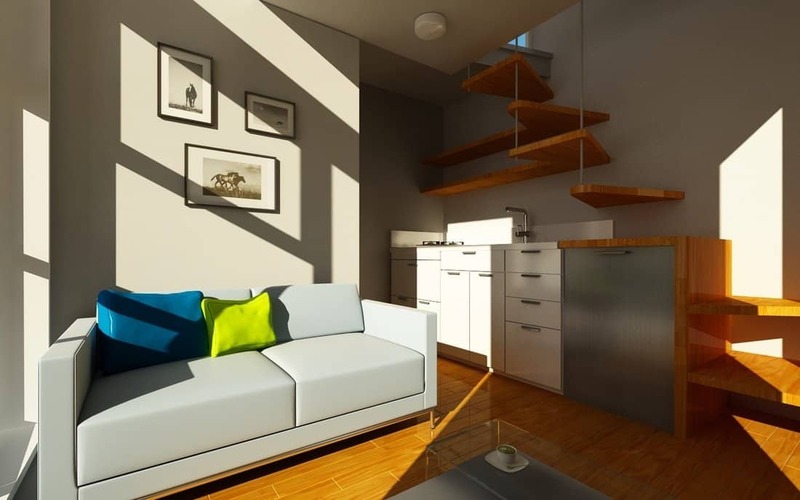 This eco-conscious micro home measures 10 x 10 and includes a living space, a kitchen, a bathroom, and a sleeping area. It's manufactured in Canada and is available to buy. One of my favorite tiny homes on foundations. 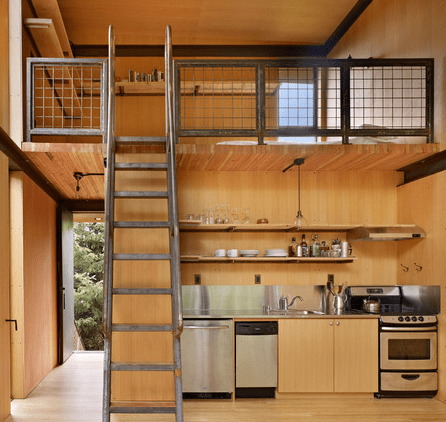 This tiny house was designed by Richardson Architects with children in mind. 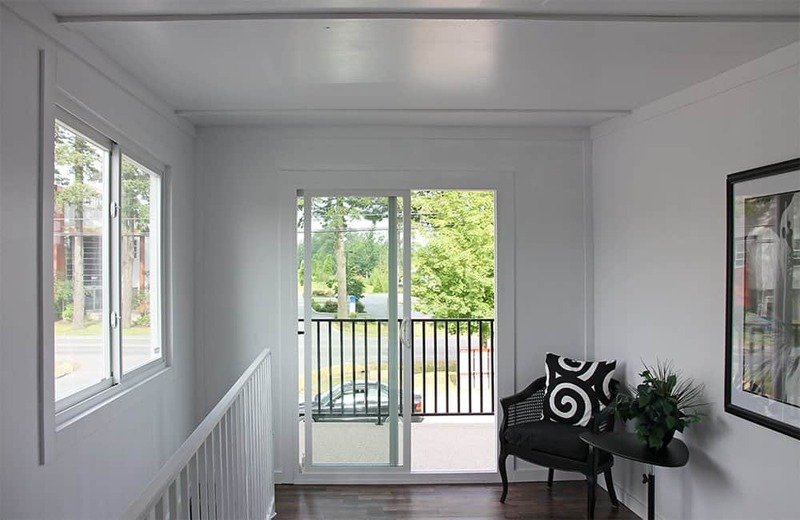 It's made of non-corrosive and wear-resistant materials and features a large wraparound porch. 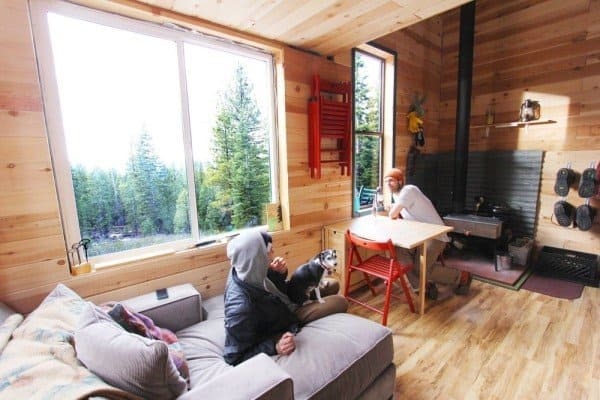 This 140-square-foot tiny house on foundation combines sustainability with a modern design. The house features rain chains to catch rain, skylights and wide windows to help cool the building down, earthen plaster to control humidity, and shou sugi ban to protect the siding. 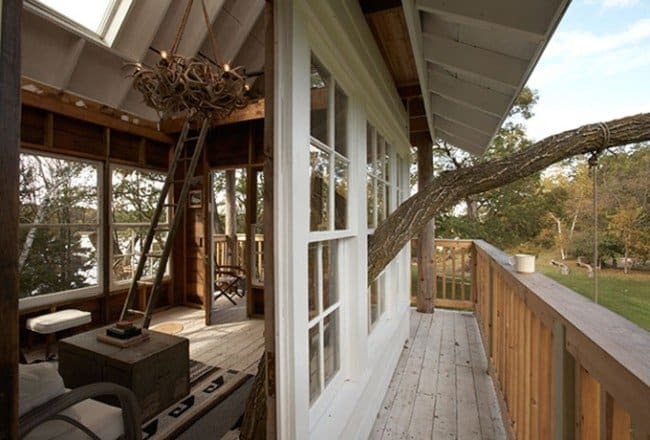 If you want to be really creative with your tiny house, why not build a tree house? This house has a lovely story behind it. When Teresasa Surratt and her partner bought the Wandawega Lake Resort, Tereasa's father Tom christened the property by attaching a swing to the branch of an old tree in the centre of the space. A year later, two sad things happened: Tom died and the tree contracted Dutch elm disease. But while the branches were dying, the tree's trunk was still strong. 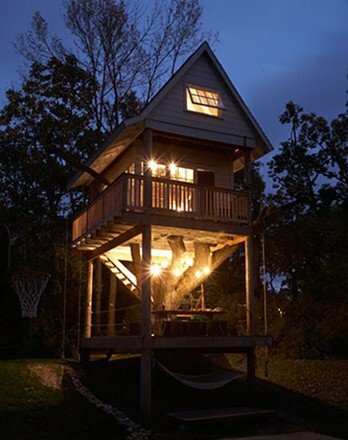 So the team built a treehouse around the tree and named it Tom's Treehouse. 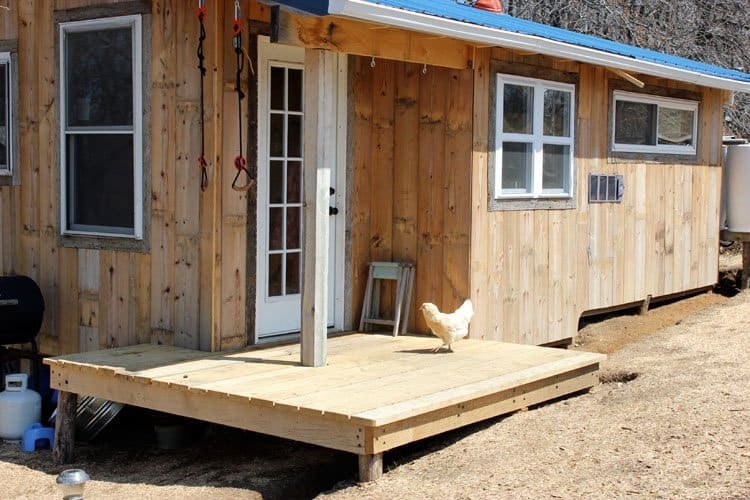 This tiny house on foundation is home to a family of four and is part of a homestead in Missouri. 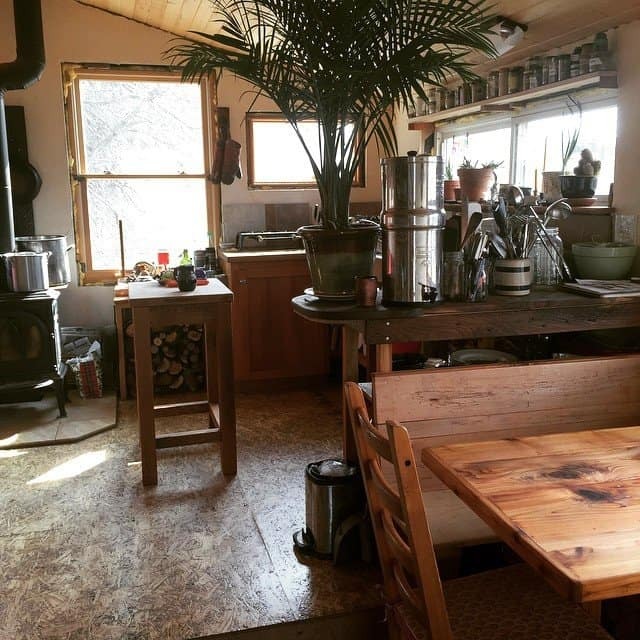 It's 350 square feet and is surrounded by organic gardens and food forests. 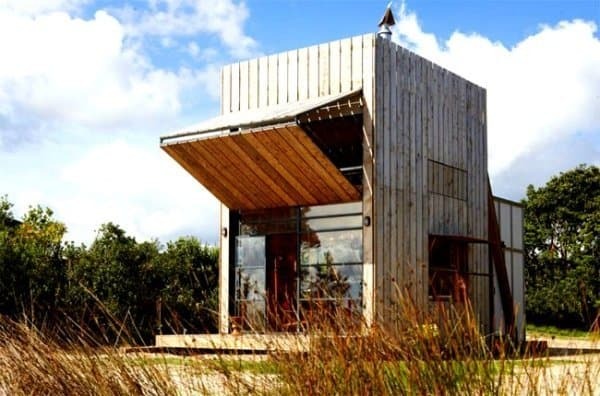 This 350-square-foot permanent tiny house is built on stilts to protect it from flooding. It comes with steel shutters that can be closed to secure the cabin while its inhabitants are away. 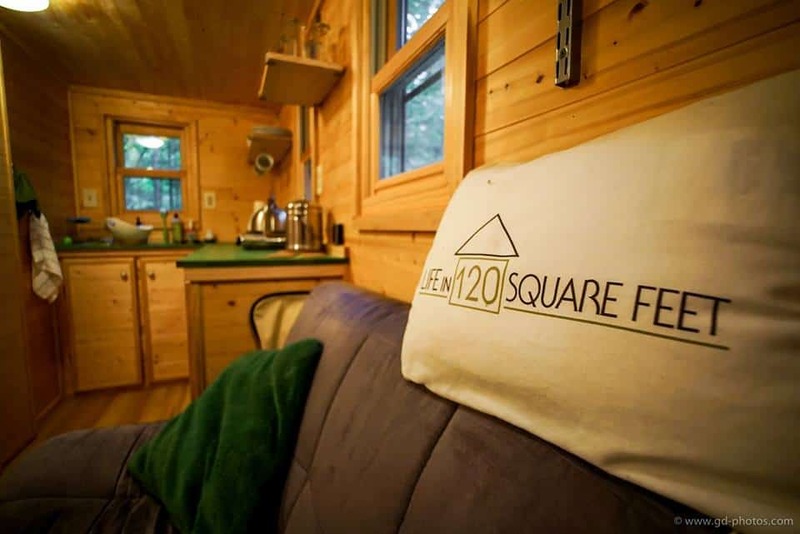 The Pod is a 288 square-foot cabin on skids built by Yahini Homes. 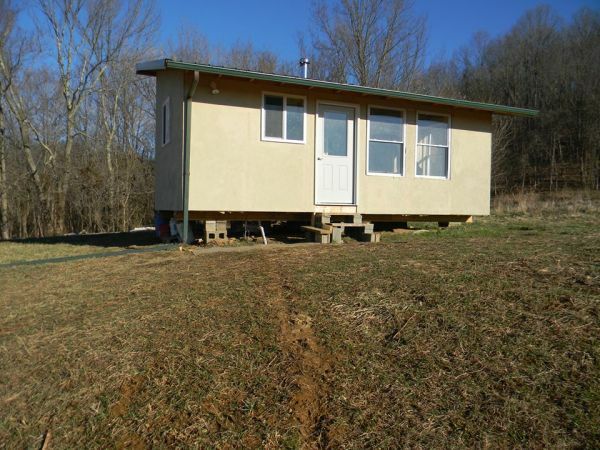 The house can be moved on a trailer and additional parts can be added to it later on. This cube is 12 x 12 x 12 and was built by Scot Stewart. It's built on wooden skids with joists and steel hurricane ties. 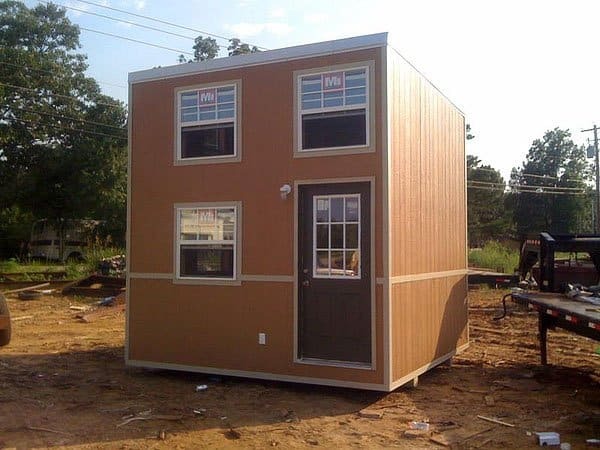 You could make this a permanent tiny house on a foundation very easily. 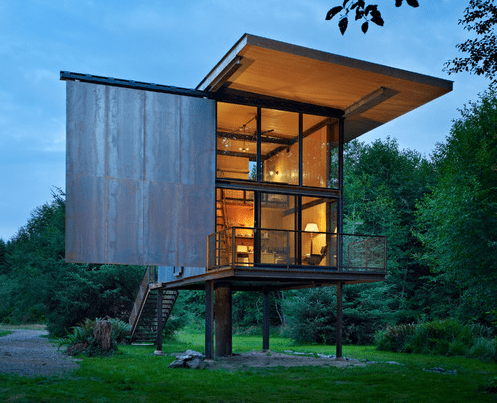 This award-winning 430-square-foot beach cabin was built by Crosson Clarke Carnachan Architects. It's built on sleds (large skids) because of its position on a coast that's prone to erosion and that does not permit permanent structures. 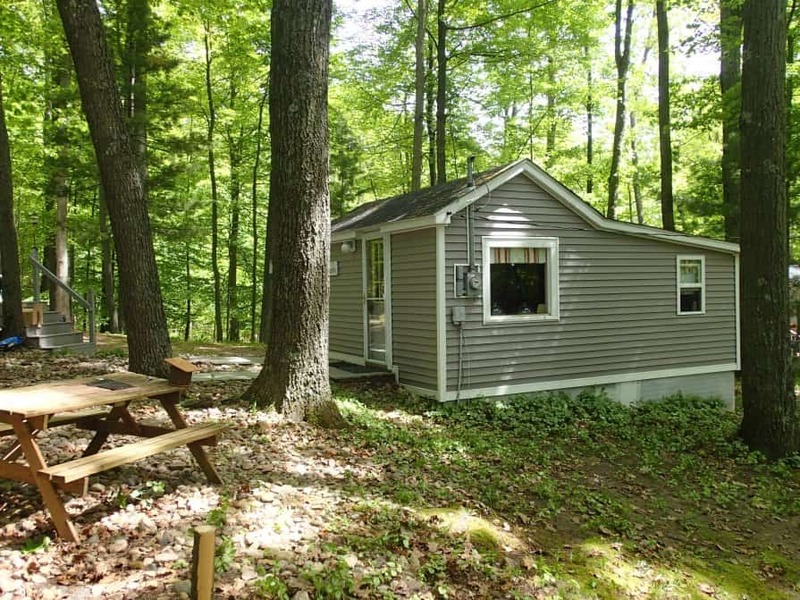 The cabin can be towed away if necessary. 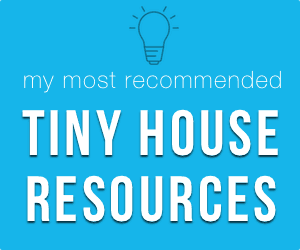 There are so many options when it comes to tiny homes on foundations. Why not think outside the box (quite literally!) 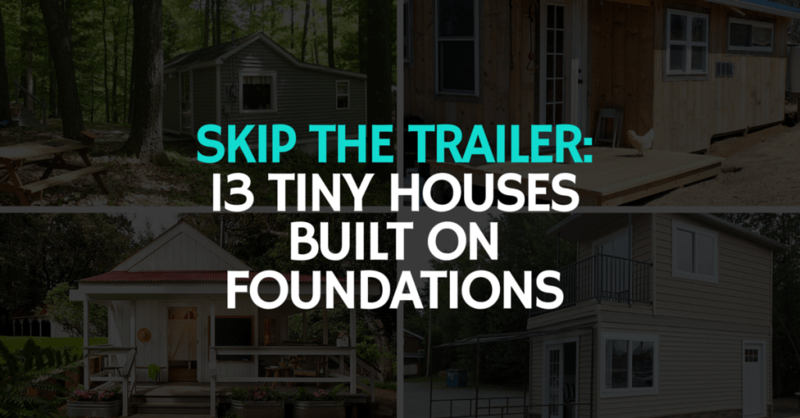 by skipping the trailer and building your tiny house on a foundation or on skids? Let yourself be creative and play with the different shapes and sizes you could use. 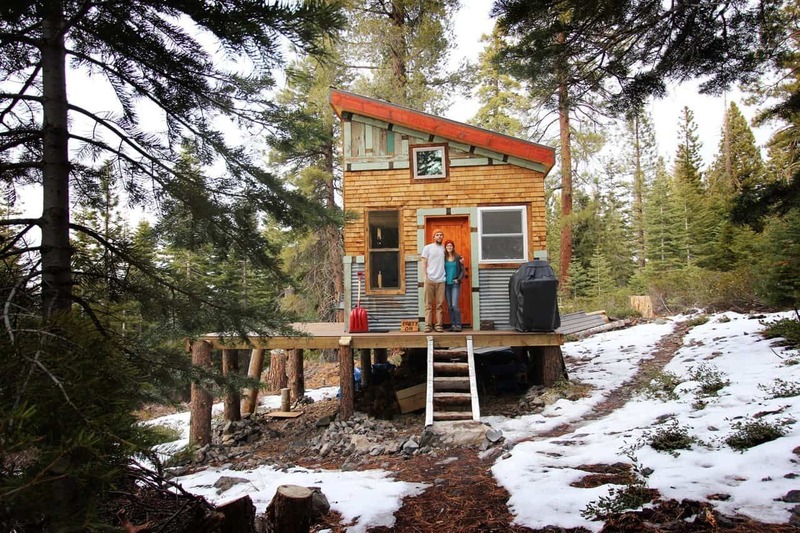 Have you considered building your tiny house on a foundation? Why/why not?